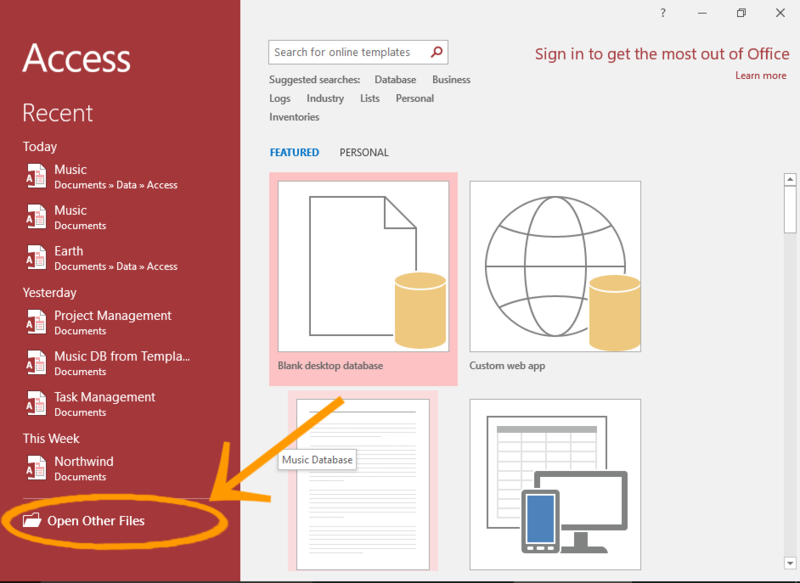 ﻿ How To Open A Database In Exclusive Mode In Access 2016? 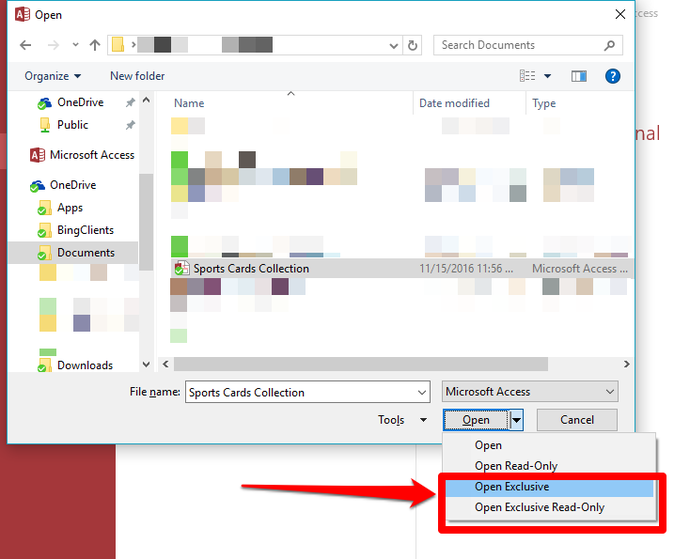 How To Open A Database In Exclusive Mode In Access 2016? 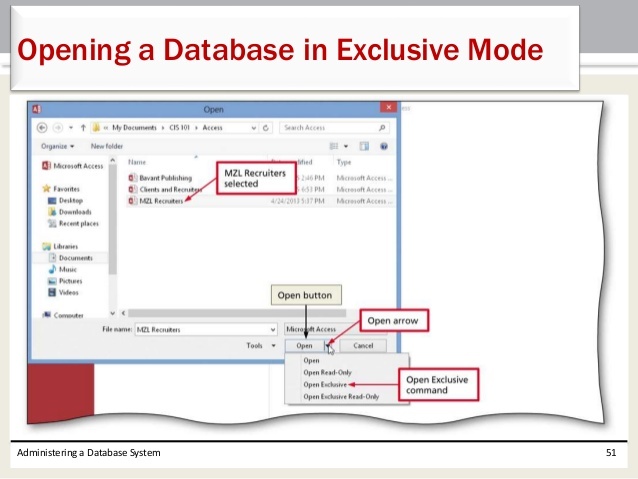 Access is designed to accommodate multiple users in the system at the same time but there are some tasks that require you to open the database in exclusive mode. So that nobody other can use it while you are accessing it. You may need to have exclusive access to the databse to either to modify forms, tables etc. or while at the time of changing the password of an access database or while adjusting other security settings. Access might remind you to open the database in exclusive mode. 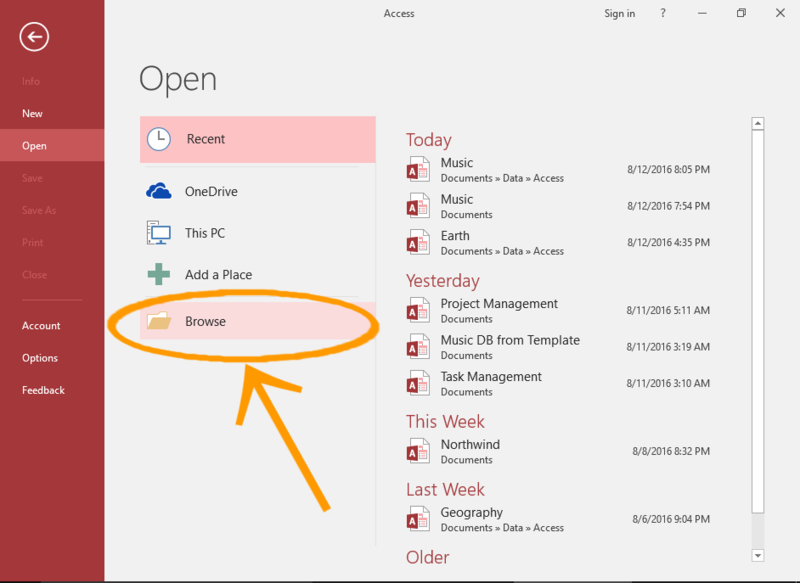 Here is the complete step for opening up an access database exclusively. Open access and click to the open other Files option present in the left menu. 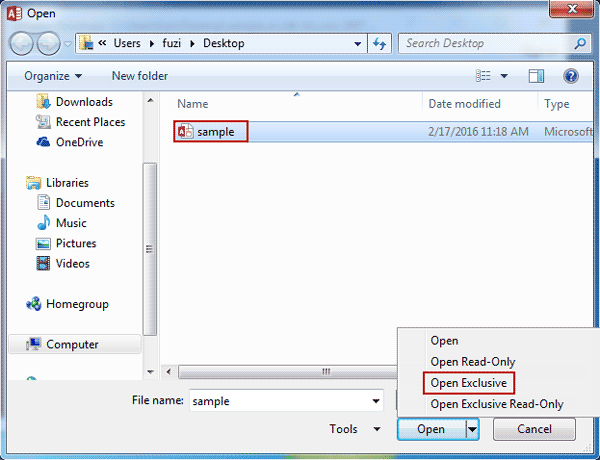 Click browse to initiate the open dialog box, so that you can browse to the database file in the file system. Navigate for the file and select it. Hit the down arrow on the open button to display the list of options. Scroll down and click either "Open Exclusive" or "Open Exclusive Read Only". You can't do changes to the database information in read only mode but can make security changes that will stick after saving. "Open Exclusive" option is for those who wants to make high end security changes and edit the data or tables at the same time.